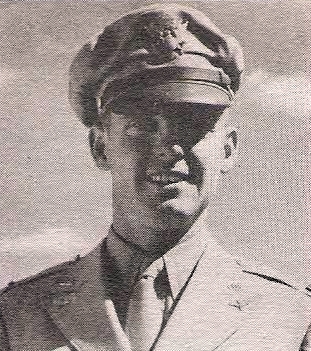 1st Lt. Ernest E. Remington, son of mr. and Mrs. E. M. Remngton, Graham, husband of mar Leslie Scott, attended Graham High and A&M. Entered Army AC in 1942, trained in Cal., Arizona, Texas and Okla. Served at Columbia, S. C., was connected with Radio Control, Flight at G.C.A. Base. Awas A-26 Pilot. Discharged in 1946.